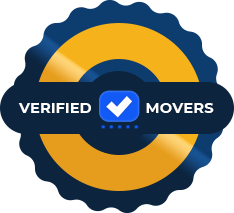 If you are moving to NYC for the first time or moving locally in the city, Dynamic Movers are here to help. Our moving company offers affordable and trust-worthy moving services for both residents and business people. Take a look at how our Crown Heights movers can help you relocate to your new Brooklyn home. Have you been planning your Brooklyn relocation? If you still haven’t found the right neighborhood for your new home or an office, consider moving to Crown Heights. This vibrant Brooklyn neighborhood offers a comfortable life for everyone. Whether you are moving with your family, moving in with a roommate or looking for a home after retiring, this might be a neighborhood for you. Why should you consider moving to Crown Heights? 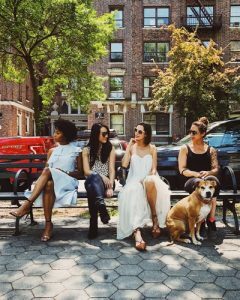 If you still haven’t found the right neighborhood for your new home or an office, consider moving to Crown Heights. For the last couple of years, more people keep choosing Crown Heights as their new destination. If you are wondering why, here are some of the most common reasons. Great location. The location of Crown Heights is perfect for everyone who loves exploring Brooklyn. It’s on a perfect distance to some of most popular Brooklyn landmarks like Prospect Park, Brooklyn Museum and Botanical Gardens. Affordable rent prices. If you are looking for an affordable home in Brooklyn, this neighborhood is perfect for you. In Crown Heights, you can find a spacious studio for under $1,000 a month. Diverse culture. With so many different people of all ethnicities, it’s easy to feel welcome and meet new people. Great Subway connections. Unlike some other Brooklyn neighborhoods, Crown Heights has many subway and bus lines you can use to get to the other parts of the New York City. Beautiful architecture. If you prefer living in a charming neighborhood in Brooklyn, Crown Heights is what you are looking for. This neighborhood seems to be changing all the time, but its traditional architecture is one of the biggest charms. If you decided to move to Crown Heights, and you already live in Brooklyn, you should consider contacting local movers NYC. If you choose Dynamic Movers as your moving company, our Crown Heights movers will make sure to provide the best quality moving services. How to prepare for your Crown Heights move? While you are considering your new life in Crown Heights, you should start preparing for your Brooklyn relocation as soon as possible. Depending on the distance and the nature of your move, you should make sure to prepare everything you need to pack and relocate. Also, in case you are moving as a family with children, you should make plans and prepare your kids for moving into a new home. Our company can help you calculate your inventory and suggest the best moving plan. 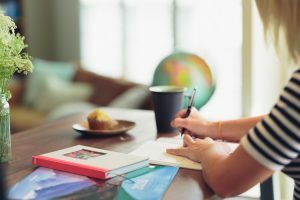 If you are moving from a bigger home into an apartment in Crown Heights, consider reading some tips for downsizing your home. Preparing your belongings for the move is one of the most important steps of the relocation. If you need to pack and transport your belongings last minute, you can always count on our Crown Heights movers. Our company can help you calculate your inventory and suggest the best moving plan. After making a good moving plan, you should make sure to sort out your budget and make a to-do list. Things like hiring a moving company, finding a new home and sorting out your belongings should all be on that list. How can our Crown Height movers help? Moving from one home to another is not an easy decision. 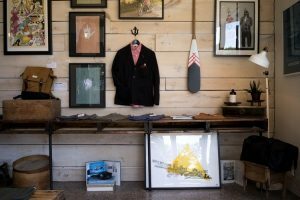 Also, relocating a business from one destination to another can be more complicated than one might think. No matter what type and size of your inventory is, our Crown Heights movers can offer you reliable transportation services. After establishing your moving budget, you can contact our company’s representative and we will offer you an estimate of your moving costs. At Dynamic Movers, we make sure to keep up with our competitors. This is why we will offer you affordable moving quotes NYC and listen to all the details regarding your move. If you already live in Brooklyn but want to change neighborhoods, you can rely on our Crown Heights movers. Our moving experts know the city and want to make sure to transport your belongings in the most efficient way. No matter what type and size of your inventory is, our Crown Heights movers can offer you reliable transportation services. Moving to New York City for the first time can be exciting! However, a long distance relocation can be difficult to manage without the help of professional moving assistance. With our long distance movers NYC, you can be sure that your belongings will be safe and sound in our hands. Our Crown Heights movers use professional moving equipment that allows them to move almost any sort of inventory long distance. Contact Dynamic Movers and get your moving quote today! If you thought that moving has to be expensive, you might be wrong. With Dynamic Movers, you can discuss all the details of your move with our relocation experts. Depending on your needs, we will make sure to suggest the best solution for your moving budget. Let us know when and where you have to move, and we will make sure to make a good moving plan while keeping your budget in mind. Let your Crown Heights relocation be efficient and successful! By hiring our Crown Heights movers, you can make sure to save time, money and energy. Our moving company can do all the planning of your move and transport every moving box in the shortest amount of time. Don’t bother lifting heavy furniture and while risking moving injuries. With Dynamic Movers, all you need to do is let professional movers with years of experience do all the hard work for you.